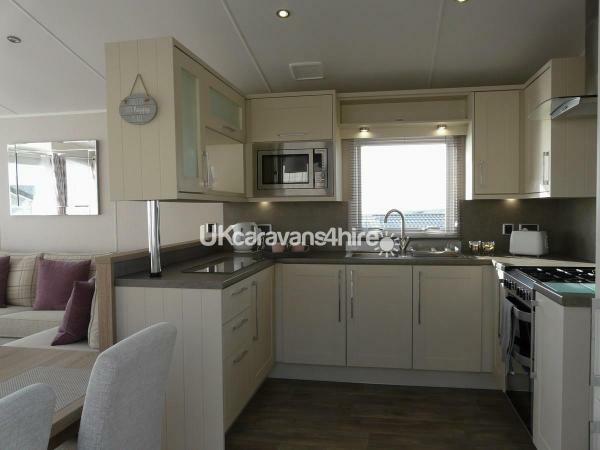 Our Brand New 40' X 13' Luxury Platinum Grade Caravan with Excellent Sea Views is the up to date modern version of the classic Willerby Aspen with sliding doors opening onto a large veranda with lockable gate, patio table and chairs. 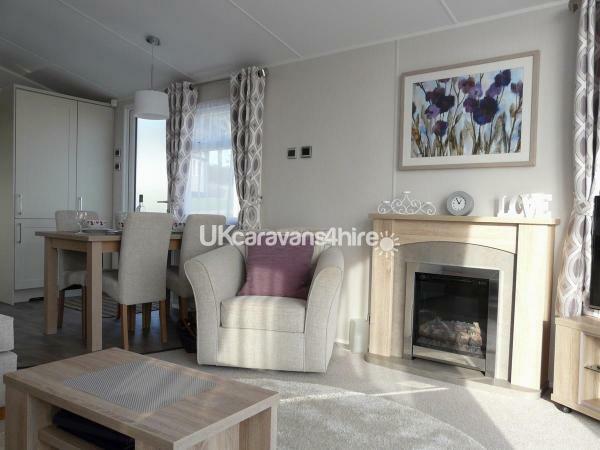 It is very comfortable, beautifully furnished and equipped to a high standard, a real 'Home from Home' with double glazing and the latest domestic Gas Central Heating. The lounge area is extremely comfortable and stylish with ample luxury seating including 2 armchairs (1 swivel). 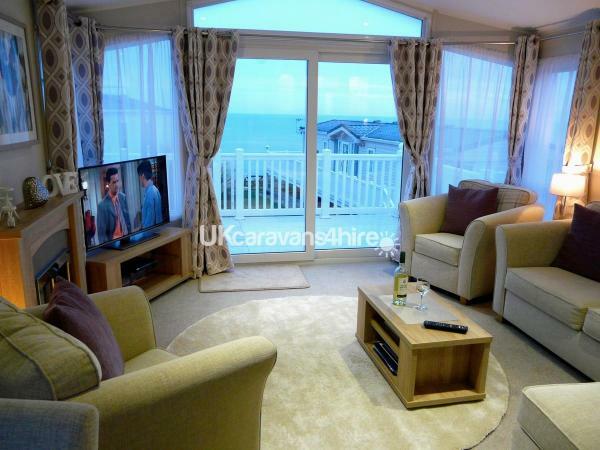 Sliding doors lead onto the large sunny veranda and the double aspect windows offer fabulous sea views. 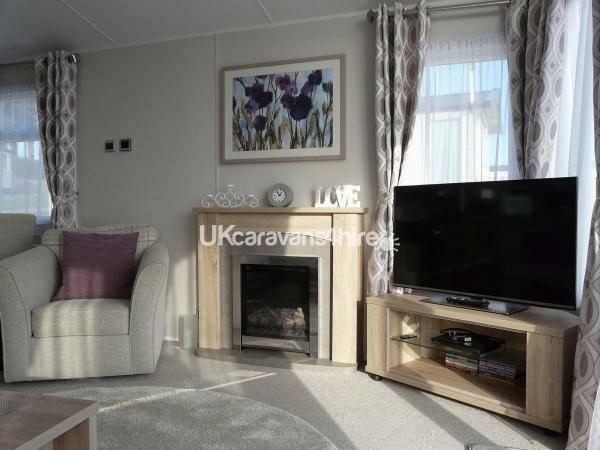 There is a modern feature fireplace with flame effect electric fire and a 43" HDTV and DVD player. 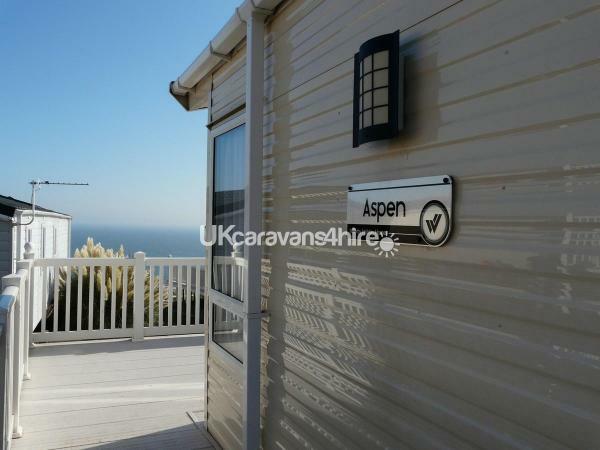 The kitchen/Diner with excellent sea views from the kitchen window has free standing table and chairs is fully equipped to a high standard. 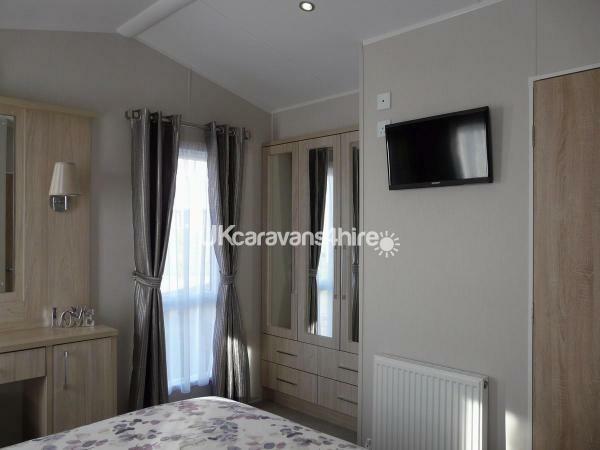 There are deluxe units with modern down lighters, full size gas cooker with extractor hood, microwave oven, full size integrated Fridge/freezer, iron/ironing board and vacuum cleaner for your convenience. 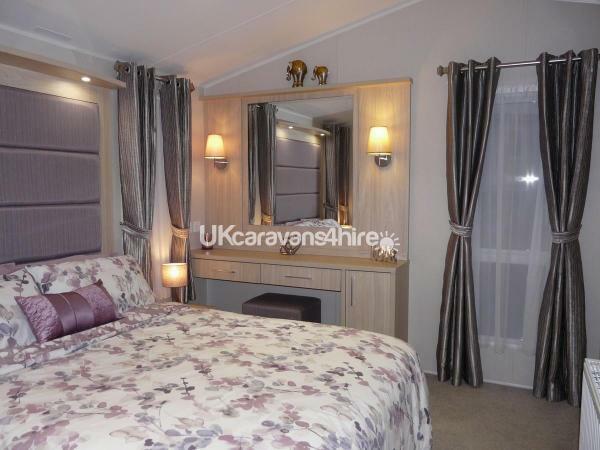 The luxury spacious main bedroom is beautifully furnished with a King Size Bed bed, 3 full length double aspect windows, large double wardrobe and drawers, luxury dressing table and stool and wall mounted LED TV and en-suite Shower Room. 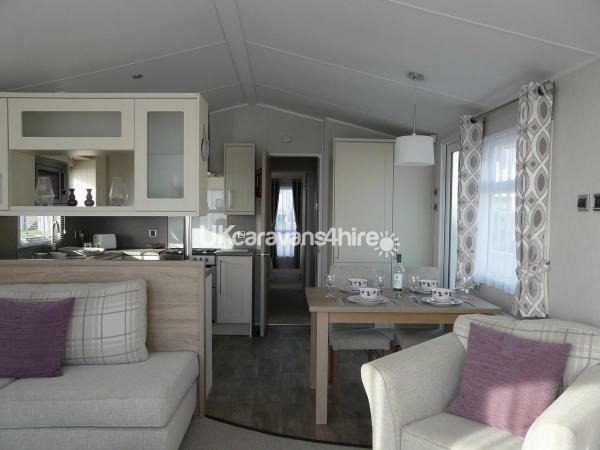 The spacious luxury second bedroom with good sea views has 1x 3' & 1 X 2' 6" bed and can easily be adapted to make room for a travel cot or when pushed together converts to a 5' 6" bed. There is also a separate Luxury Family Shower Room. 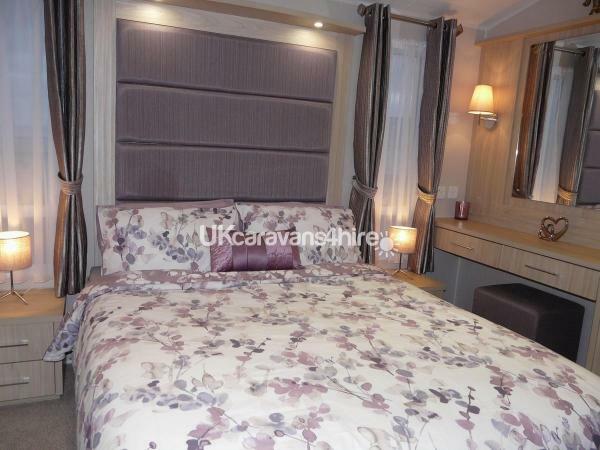 This Spacious Superb Luxury Caravan is ideally suited to 4 or as a SPECIAL HOLIDAY TREAT for 2.